Home / MUSIC / Rick Ross / Talib kweli / Talib Kweli FT. Rick Ross And Yummy Handles "Heads Up Eyes Open"
Talib Kweli FT. Rick Ross And Yummy Handles "Heads Up Eyes Open"
Talib Kweli takes a break from shutting "ignant" people down on twiter, and has decided to channel some of that energy into a new solo project. The project titled "Radio Silence" IS due November 17. 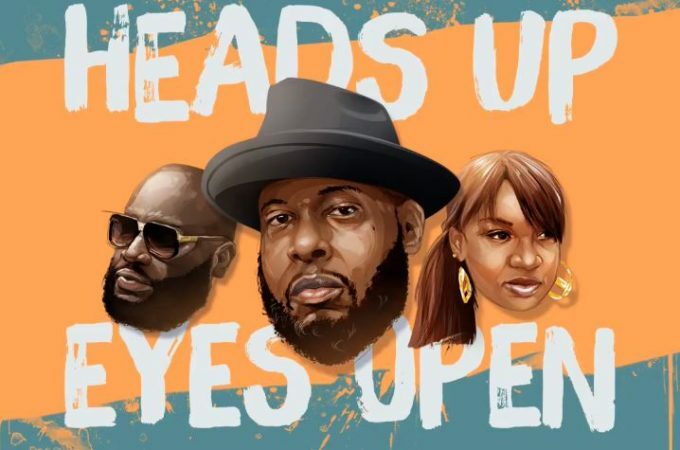 The Brooklyn rapper gets the campaign for the LP going by releasing this new inspirational raecord titled Heads Up Eyes Open featuring Rick Ross and Yummy Handles on the hook. Earlier this year, Talib partnered with Styles P to release The Seven EP, a 7-track-project featuring Rapsody, Sheek Louch, Jadakiss and Chris Rivers. You can purchase the project here.